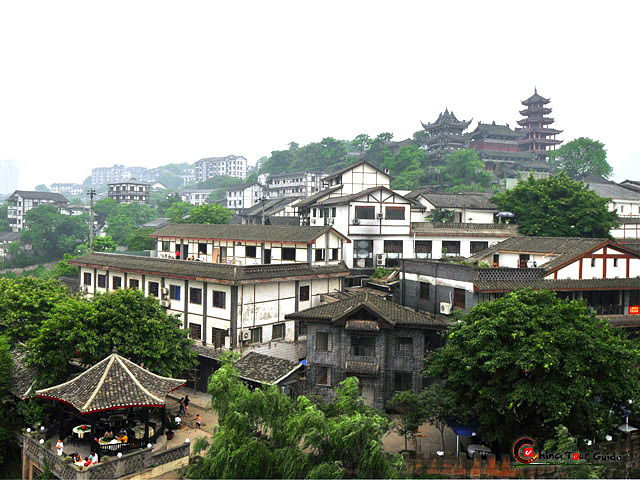 Perched on a hill overlooking the Jialing River in the west of the city, Ciqikou Old Town (Porcelain Village) dates back to the late Ming Dynasty (1368-1644). People always said "One flagstone road, and one thousand years' Ciqikou". 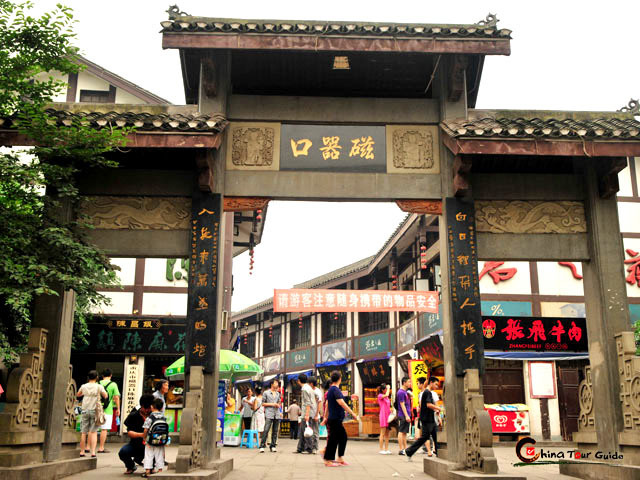 This is never more true than when you visit Ciqikou Old Town where you will find the local residents dedicated to their traditional way of life, unaffected by modern influences to be found in the larger towns and cities. 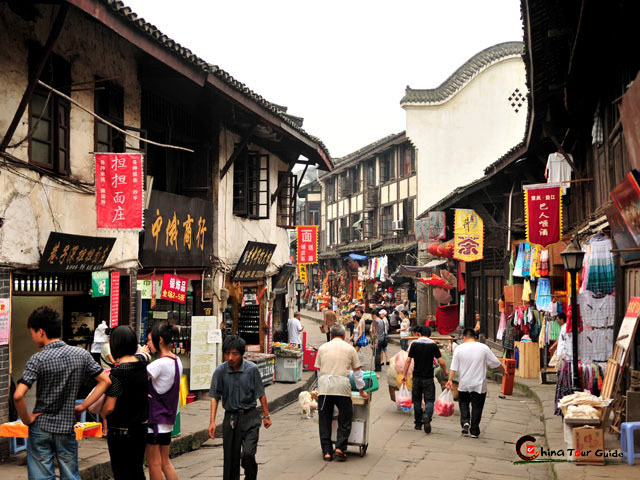 It is similar to the Jinli Ancient Street in Chengdu, but Ciqikou is bigger than that. It was named as it had supplied large amount of porcelain dating during Qing and Ming Dynasty. However, the village was also an important supply post for shipping on the river, a fact that explains why there are so many shops lining the twelve lanes paved with their large flagstones that form the main routes. Here you will find many outlets for craftwork, groceries and the like as well as a horologist, photography supplies, drugstore and a tempting supply of roasted nuts and seeds. As one would expect there are also many teashops and restaurants to cater for the many visitors who come to see something of a way of life that has existed here for so many centuries. The entrance of the Ciqikou Old Town. The overview of the Ciqikou Old Town. The majority of the buildings date from the Ming and Qing Dynasties, periods during which many masterpieces of Chinese architecture were created. 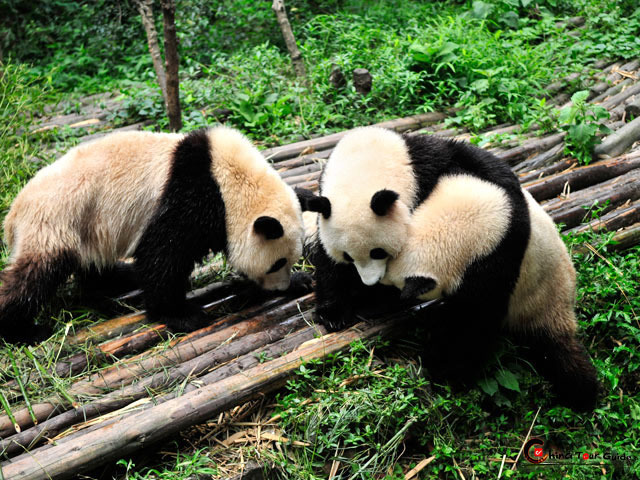 Much of the two and three storey buildings is of bamboo and timber. Blue bricks and pillars set off the snow-white walls that contrast in turn with vermilion doors and lattice windows. Black tablets and lanterns adorn the gates to complete the authentic and traditional appearance of the properties. The three notable points of the village are the teahouses, the foods and the Shu Embroidery workshops. Surprisingly, there are more than a hundred teahouses each with their own particular characteristics. 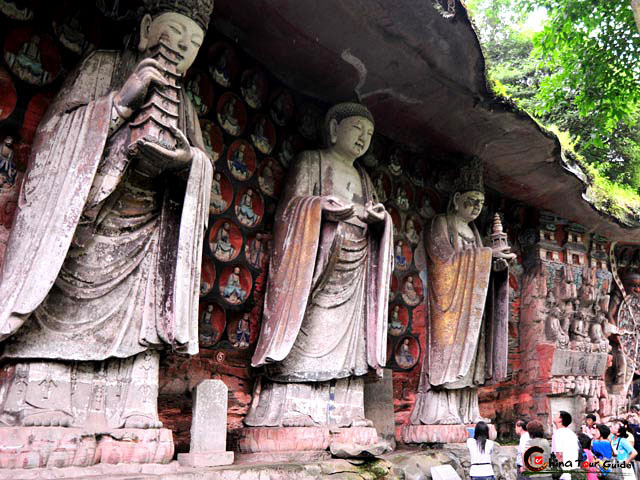 Chongqingers enjoy a chat or meet to discuss business. 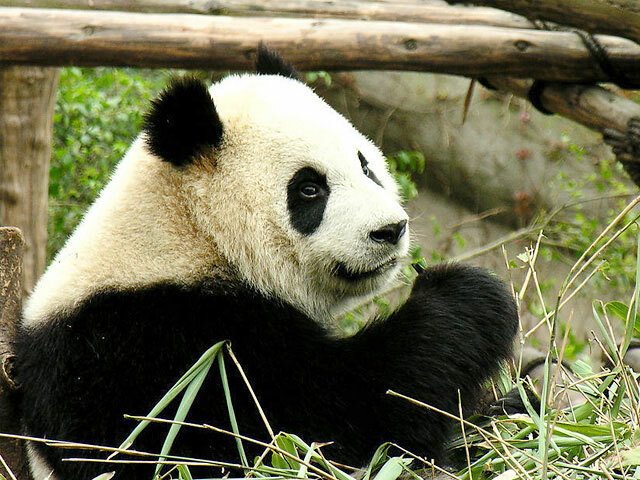 Therefore, the teahouses offer the opportunity for you to meet the locals and become acquainted with the unique folk opera like Sichuan Opera. Ciqikou is also the real place for tasting local three famous dishes which include Maoxiewang (spicy duck blood), Qianzhangpi (bean curd sheets), and Yanju Peanuts (salted peanuts). All these are very highly recommended, you will not be disappointed and will soon come to realize why they are so popular. Shu Embroidery in the old town is also famous. Shu embroidery, renowned for its superb workmanship, is one of the four famous embroidery styles of China. Don't forget get it when you travel in this old town. As tourist annieandhamish from Australia said, Ciqikou Old Town which is on a hill and leads down to the Jialing River. This is a wonderful old town with authentic as well as restored buildings. Heaps of character & really great to wander around. 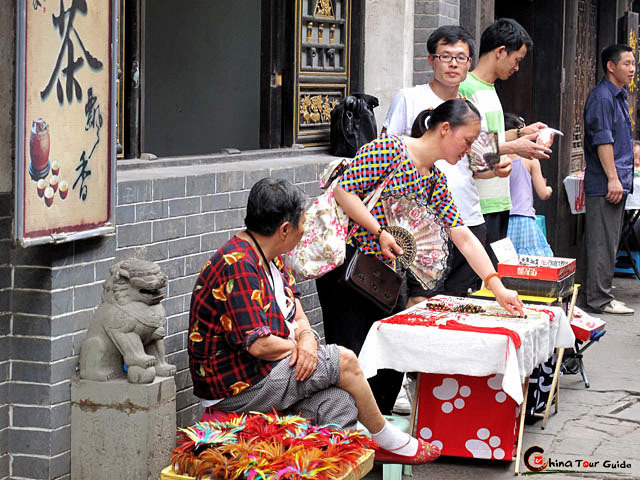 Small vendors in the Ciqikou Old Town. Many shops are lined in both sides of the street.